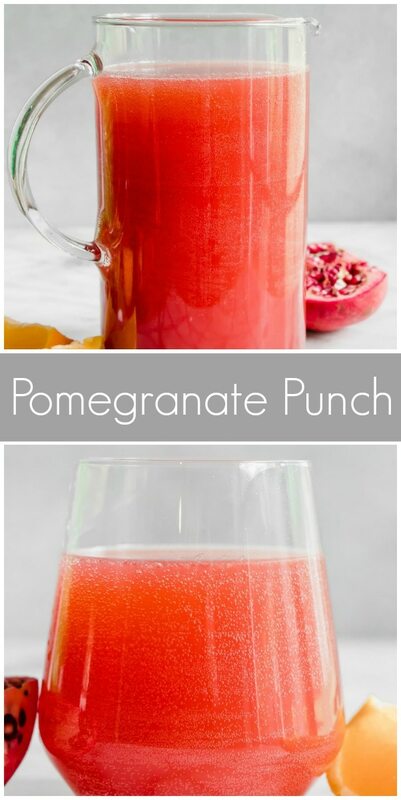 Pomegranate Punch is an easy, beautiful, non-alcoholic punch recipe. 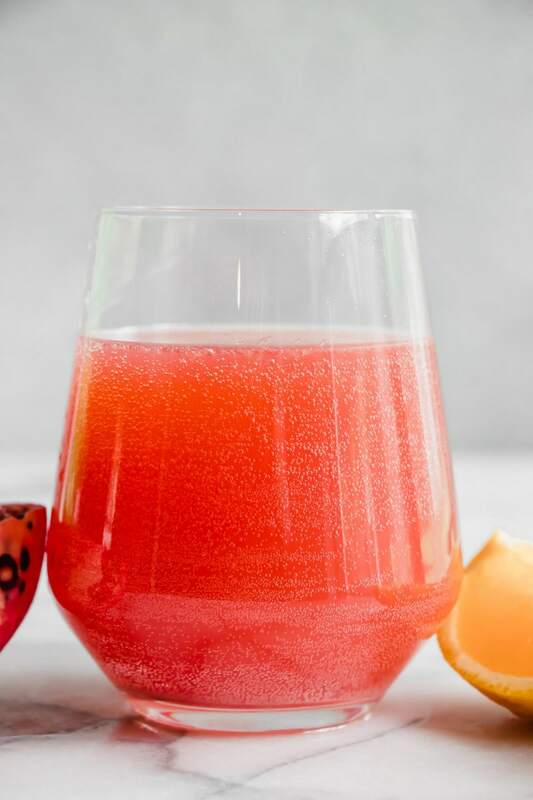 If you’re looking for a good punch to serve in the fall months for a kid’s party or a holiday gathering, this is a good one to try. It’s the perfect shade of red for the holiday season. Holiday pretty! 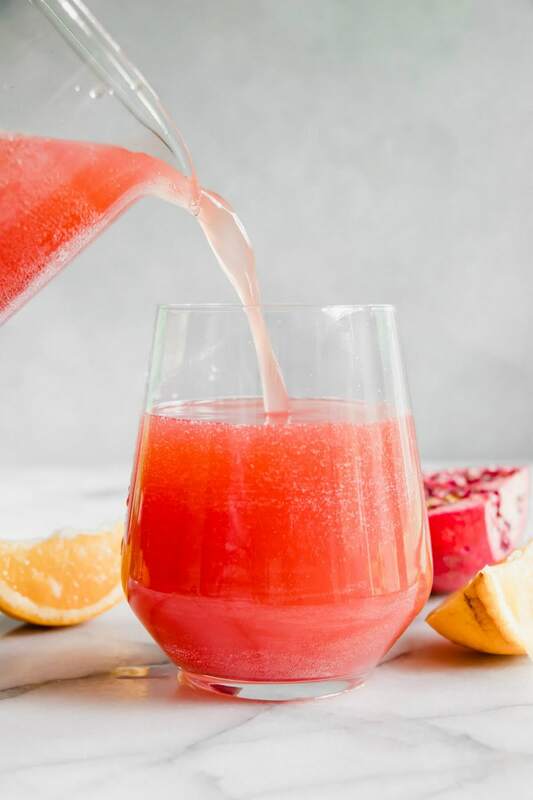 This punch is made up of pomegranate, orange and lemon juices combined with simple syrup to sweeten it up a little more. Ginger ale tops it off and gives it a few bubbles too. Picture serving this in a tall pitcher. If you’re making it for a party, you can combine everything except the ginger ale until just before serving. When your guests arrive, pour in the chilled ginger ale, and it’s ready to go! If you’d like to control the sweetness of the punch, just add the simple sugar syrup a little at a time. 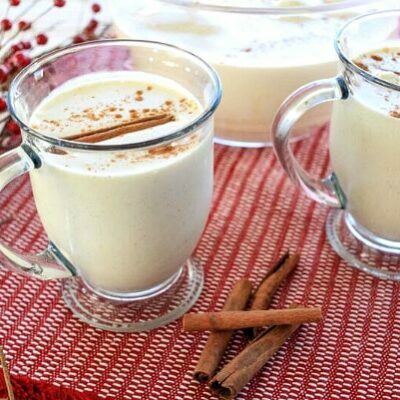 Taste and add more, as needed, until you reach your desired sweetness of the punch. Pour individual servings over ice, if you’d like. It will be well chilled, so it’s not necessary but it may help prevent the punch from disappearing too quickly! Oh, and you can certainly turn this into a cocktail punch by adding in some vodka. Just be sure to keep it away from the kids, and let the adults know it’s spiked. A vodka version will be a hit too! Garnish with orange slices or pomegranate seeds, if desired. 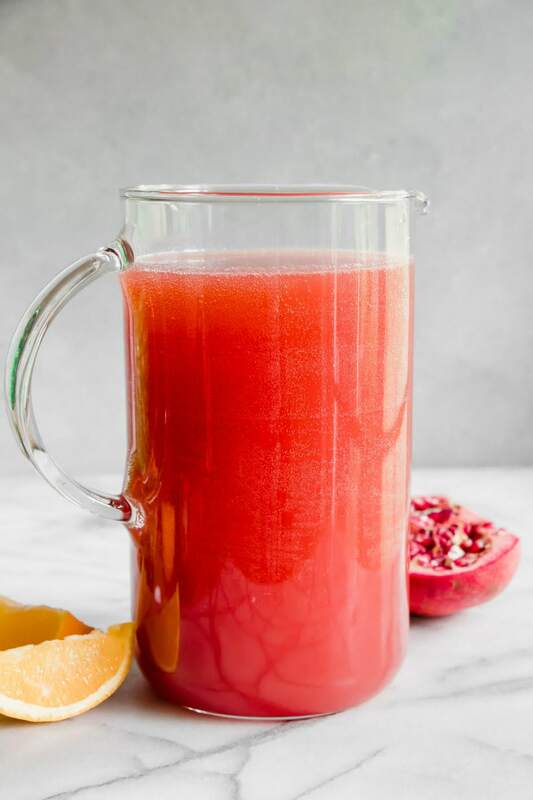 You can usually find pom seeds removed from the whole pomegranate at your local market (or Trader Joe’s). If you’re looking for more recipes for your holiday party, you might like to try my Sundried Tomato Polenta Bites or this Cranberry Caramelized Onion Cheese Spread. Spicy Cheese Straws, Cranberry Bliss Bars and Spinach Palmiers are great holiday recipes too! 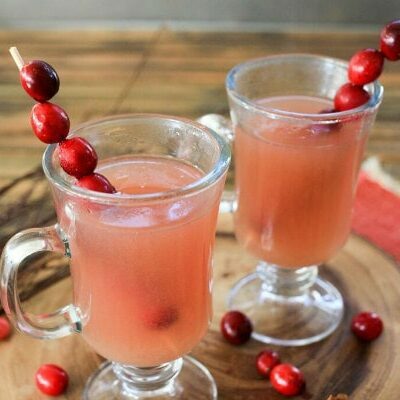 Love this nonalcoholic punch recipe for holiday parties! Heat the water in microwave or saucepan. Add sugar and stir until dissolved. Chill. 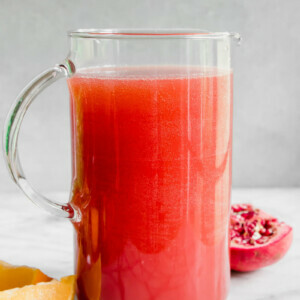 In a large pitcher, combine the sugar/water, pomegranate juice, orange juice, lemon juice. Add ginger ale just before serving. 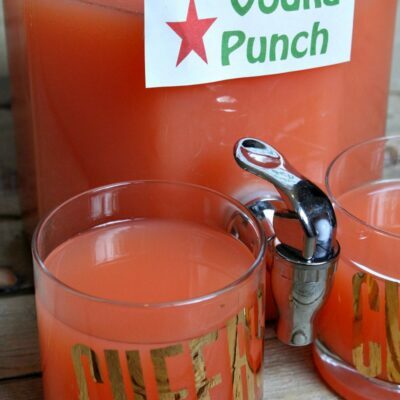 Pineapple juice is also a nice addition to this punch. 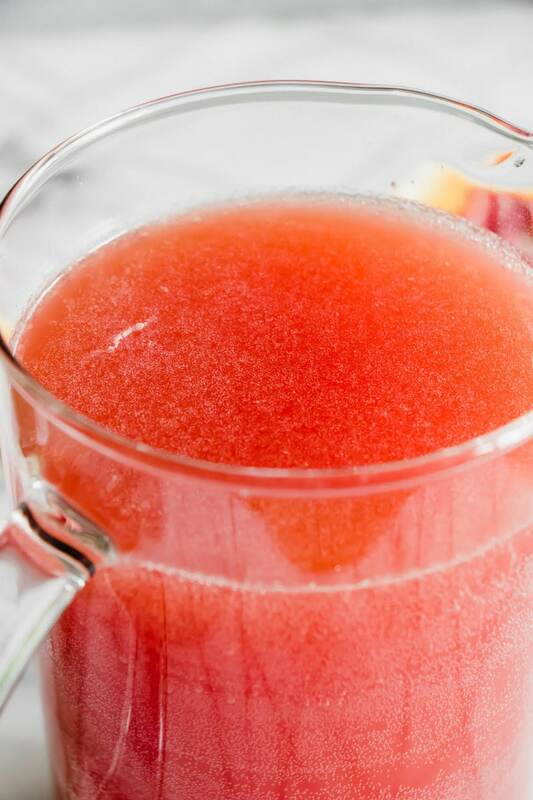 This punch recipe was originally shared in 2006. It was edited and re-published in 2018.